The camp that publicly proclaims we must soldier on with the health risk assessments, the biometric screenings, the weight-loss challenges, and the “cost sharing” of health insurance with employees. That camp is mostly plugging their ears at (and not responding to) the questions from the other camp. The camp that keeps asking that pesky “why” question. But they’re not asking “why” like a toddler who presses on, and on, an on without purpose. Those in that second camp are asking why we must persist with corporate wellness practices that don’t work. Some in the industry rise above the fighting to offer their long-held positions that are alternatives to more traditional corporate wellness. Check out the work being done by Rosie Ward and Jon Robinson at Salveo Partners, or Bob Merberg’s Health Shifting blog for some insights. I admire their work and their passion. I offer my own considerations here based on a blog I read focused on well-being for caregivers of the elderly. (Half of my work life is spent focused on health and fitness services in senior living communities.) The blog is about how The Eden Alternative assesses well-being, the dimensions they use, and how they apply them to their employees and those they serve. Traditional wellness uses areas like physical, intellectual, and occupational wellness to map out how an individual is experiencing well-being in their lives. The Eden Alternative instead looks at identity, connectedness, autonomy, security, meaning, growth, and joy. How does the worksite look if we build a corporate wellness strategy around optimizing those elements for employees? Here are three areas to consider. What are the ways we cultivate and sustain connectedness for staff? This is about more than your break room, or your subsidized healthy foods in the company cafeteria. This isn’t really related to your corporate IT policies for use of social media. But the answer(s) to this question could be about establishing policies that allow employees to provide family support in caregiving roles under reasonable circumstances. Or it could be about establishing a well-thought-out mentoring program at your company. How are we communicating and following through on areas of autonomy for employees? No one really likes to feel like they don’t have control over a particular area of their lives, and studies show that lacking autonomy at work can increase stress. If your micromanaging, timekeeping structure has employees taking bathroom breaks in shifts and feeling chained to their desks, it might be time to rethink how you can improve this area of your workplace culture. In a call-center environment, highly scheduled time on the phones is central to business success, and while you can’t change that paradigm, you can invite your team into building the schedule. They’re smart (or you wouldn’t have hired them, right? ), so they might have productivity-increasing, autonomy-boosting ideas that you can actually put into practice. Do we provide opportunities for our crew to engage in work that’s meaningful? Not everyone has the good fortune to work day in, and day out, in a job they love. And there’s a decent chance that some of the people on your team are in that tough spot. Maybe you can restore a little meaning in their career by providing opportunities for them to engage in a passion through their work. The catch here is that you have to know your employees well enough to know what they’re passionate about. Start with that discussion and see where the ideas lead you. Establishing a day of service might spark enough enthusiasm for some (“I don’t LOVE my job, but the company I work for is solid”). Others might benefit from a mentoring experience to move into a new role with the organization. You may have noticed that a lot of this alternative approach boils down to building relationships with colleagues. It’s a scary thing—getting to know your staff. But the rewards for individual well-being are far greater than we could get from any health assessment report or biometric screening. When we’re struggling (so much) with true employee engagement in corporate wellness, we need to step back and look at what we’re inviting them into. If it’s not meaningful, if it doesn’t add value (and I don’t mean money) to an employee’s life, why would they engage? Change is hard—no one really likes change. But this might be a change your employees can get behind. So what do you think? Are you resolved to do better in 2016? As you kick off the New Year in your workplace, you will probably overhear many of your employees talking about being healthier this year, and their New Year’s resolutions. Eating better, participating in more physical activity, stressing less, establishing a better work-life balance… the list goes on. If your workforce is like the majority of people who have the best intentions of improving their health this year, many will be unsuccessful once work and life get back in the way. The good news is that healthy habits can be created and maintained in the workplace with a little help from leadership (and who doesn’t want healthy employees?). Here are some ideas that you can incorporate at your workplace to help your employees stick to their health resolutions and show your support for employee health. 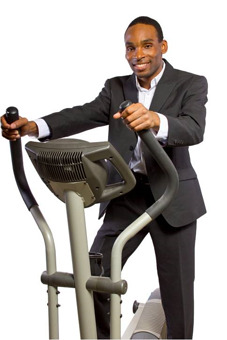 Allow employees to schedule time for physical activity throughout the day. Studies show workers who are able to participate in activity throughout the workday are more productive, so this is a win-win for you and the employee! Making it known to your workforce that you support a break to exercise can go a long way toward changing the health culture in your workplace. If there is no access to a fitness center or group fitness classes in your facility, this year could be the time to explore some options that best fit your workplace needs. If you have the budget to purchase healthy snacks for your employees, great! Have a few common areas stocked with healthy options made available to employees. If you are relying on your vending machine, look to ensure that you have a good variety of healthy choices clearly labeled and available. Provide opportunities to better manage stress. Work comes with stressors that can trigger negative thoughts and health habits among your employees. This can be as simple as allowing employees to step away from their desk to go for a short walk or allowing them to take a few minutes to watch a cat video to get a good laugh. Other options that come with a price tag but would be very popular include having a massage therapist provide ten-minute chair massages every few months, or a yoga instructor one or two days a week to provide your employees with an opportunity to unwind. Allow for a power nap. Who would have thought that we had it right back in preschool? 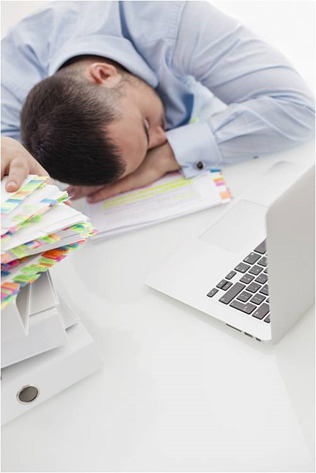 Many are sleep deprived and it is impacting the quality of work that is delivered and increasing chances for other health risks. Allowing your employees to take a 20-minute power nap can result in a more productive day with fewer mistakes than a day with no nap. Identify your health champions and put them to work! They will love that you thought of them, and they have been secretly or openly plotting how they could make this happen and probably have great ideas to share. Let your nutrition nut run with the task of having healthy snacks readily available around the office, and let your fitness guru seek out a few fitness opportunities that can be taken advantage of in the conference room (if you do not have an onsite fitness center). They will also be great about rallying the employees to get on board with the new efforts. Looking to help your employees have the resources they need to be healthy? 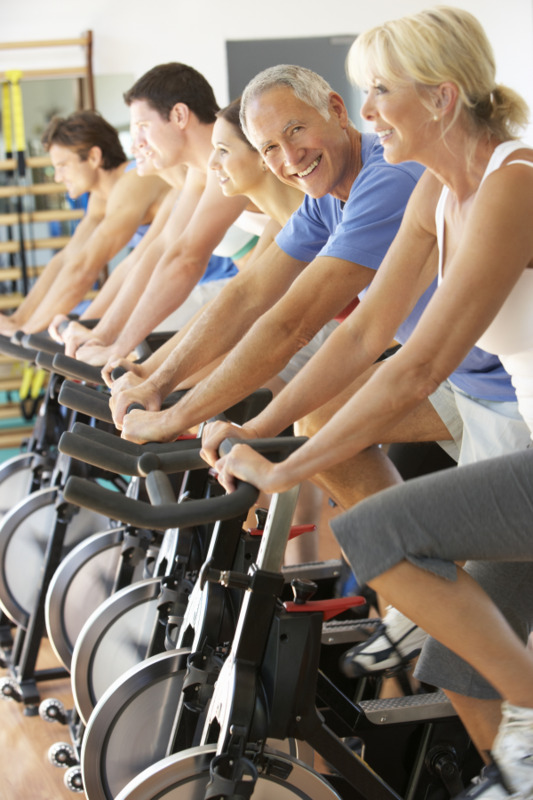 Click below to download our whitepaper for tips to add exercise to your wellness program. 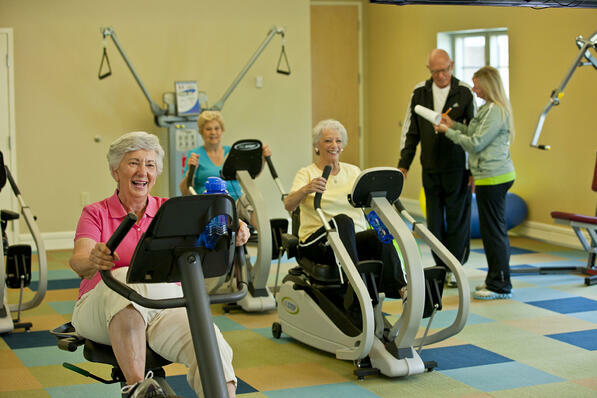 We are often asked by prospective senior living clients how NIFS staff spend their time in senior living fitness centers mangaging the fitness program. Using our monthly report data and through some Q&A with our staff, we pulled together the data below. The information is based on several client settings where we provide one full-time employee to manage the client’s fitness program. This data set does not include the one to two additional classes per week that many of our staff are teaching in AL/health center environments. That could easily represent an additional one to two hours each week excluded from the time outline above. We don’t typically recommend classes that are longer than 45 minutes for this audience, both from an endurance standpoint (for some) and from the perspective that the lifestyle calendar is typically really full and we don’t need to take up more time than necessary when members have many other things to be doing. We want exercise to be as attractive and as easy to fit in as possible, and it’s quite appropriate to expect a solid, effective workout from a 30-minute class. At most of these locations, there is at least one outside instructor teaching a specialty format class like Zumba Gold, tai chi, etc. These above figures represent what our staff teach as part of their 40-hour work week. 5.5 hours per week teaching. 28 exercise prescriptions per month = 7 per week at 90 minutes per appointment = 10.5 hours per week. 11 fitness tests per month = 2.75 per week at 60 minutes per appointment = 2.75 hours per week. 55 other appointments per month (orientations, blood pressure checks, etc.) = 14 per week at 15 minutes per appointment = 3.5 hours per week. Roughly 20 to 25 hours per week spent directly providing these kinds of services, allowing another 15 to 20 hours per week for program development, recreational activities like Wii Bowling, coordination/collaboration with other departments, meetings, and reporting or other administrative tasks. How does this compare to what your fitness staff is doing? 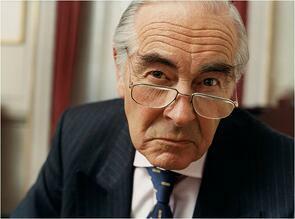 Maybe your senior fitness program could use a boost in productivity to draw in more residents. If you’re in that place where you’re trying to decide whether it’s beneficial to staff your fitness program with a full-time employee, consider watching our staffing webinar by clicking below. What If: Your Corporate Fitness Center Was Free of Intimidation? Throughout 2015, we’ll be blogging about our dreams for corporate wellness, fitness, and aging well. Some of the content will represent a gentle “poking fun” at the industry, but it’s all written to stimulate thought about what really could be if we put our heads together and started mapping out what’s really possible in the realm of individual wellbeing. We hope you’ll join the conversation by commenting on the blogs, giving us additional ideas about which to write, or by finding us out on Twitter at #wellnesswhatif. To build this “What If” series of blogs, I polled our staff about their desires and dreams for their members and clients, and I have to admit, I was a little surprised that so many of our staff gave me feedback about building a corporate fitness center that their members could visit without guilt and intimidation. Apparently corporate shaming is still alive and well, and we as health and fitness professionals have a long way to go toward building member confidence in the fitness center. So for this blog I’m going to run through the things that lead to perceptions of guilt as well as what we can do to build corporate environments that support the individual who takes care of his health. I’ll also be breaking down that intimidation factor to look at ways we can provide better support to our less confident members. Somehow, we still have managers who think that butts in the seats all day long is the best way to get employees to be productive. Science would tell us otherwise, and I offered three different studies on this very topic in an earlier blog (3 Reasons to Add a Corporate Fitness Center to Your Wellness Program). The employee who takes the company-allowed break to clear his head while lifting weights or walking on the treadmill and returns to his seat refreshed and ready to continue working? Businesses have very little policy in place on how an employee uses a designated lunch or other break time, so why would management offer disdain for the employee who chooses to take a group fitness class at lunch? And here’s the other consequence of unsupportive management: Not only do employees feel guilty for using their time (yes, it’s their time) that way, but they realize that maintaining good health is not important to their boss. Thus it becomes increasingly difficult for the employee to keep that as a personal and professional priority. So how do we turn this cultural challenge around? I wish I had all the right answers. But I think the fixes for this situation are as unique as the client environment, and your ability to nudge this kind of change requires creativity and tremendous amounts of persistence. Cultural change is indeed slow, and very hard. But when an organization figures out its priorities for the business, and they include supporting wellbeing for the employees, you have a lot of opportunity to creatively help individuals move more. We worked hard in one client setting with a high percentage of call-center employees to turn around middle management’s image that the employees absolutely and without exception HAD to be on the phones. Through a program that, ironically, was not based in their corporate fitness center, we were able to help employees get up and moving on a more regular basis. In fact, in the first four months of this program, 33 percent more participants reported walking at work at least five times per week. We had such fantastic results with this program, we wrote an eBook about it called The Cure for Sitting Disease. This intimidation issue is at the heart of what NIFS does. We’re a fitness center management organization that specializes in placing amazing staff in our clients’ corporate fitness centers to run the operation. The first step to breaking down a barrier of intimidation is having the right people on board to assist any of your employees. Your fitness staff needs to possess a unique blend of compassion and desire to work with everyone, along with technical expertise for prescribing and teaching exercise. And then, with the right motivated fitness specialists in your fitness center, you can start to build programs that work. Personal Fitness Quest is a positive example of such a program opportunity geared toward individual members who need the most support. We call it our alternative to personal training, and it continues to be one of the most popular offerings we have across our client sites. Skeletone is another successful program, though unlike Personal Fitness Quest, it’s geared more toward the whole membership audience as we set up stepwise inspiration for them to be more active in the fitness center. For the duration of this program, we increased monthly visits by 23 percent over the previous month and saw a whopping 40 percent increase in active members who attended the fitness center at least eight times or more compared with the preceding month. Another strategy for overcoming the intimidation issue is to understand it better, and surveys can be a helpful information-gathering tool for this purpose. Sometimes, members will simply offer their feedback, but you probably have a whole crew of employees who haven’t come through the doors in a while (some of whom stay away because they feel intimidated) and who aren’t likely to walk right in offering why they’ve stayed clear of the fitness center. Surveys—when used carefully—can be a great tool for continuous feedback about areas for improvement. Guilt and intimidation aren’t easy issues to tackle, but they clearly get in the way of employees’ success with exercising regularly at work. What have you tried with success at your office to break down these typical barriers? I’d love to hear about your experiences with these concepts (personally and professionally) because we can all learn and do better with dialog that is truthful and solution-based. Costs for care, costs for absenteeism, vendor costs, the cost of doing nothing…there has been a lot of chatter and posturing online recently about this information as it relates to corporate wellness. In case you’re not quite up to speed on all the cost-related information, here’s an infographic that will give you some compelling, high-level numbers and information to digest. As corporate wellness goes, there’s a ton out there on ROI too. Whether it’s accurate is up for debate depending on who's doing the talking. If you’ve read anything we’ve put out over the last several years, you know that NIFS falls into the “do for your employees, not to your employees” camp when it comes to workplace wellness. When you treat your employees well and you provide the right services and amenities for the right reasons, there will be value to the business. While an onsite fitness center isn’t the right choice for every business, it is an amenity that falls squarely into our “for your employees” philosophy. If you have any heart for taking care of your employees like you take care of your business, here are three reasons you should be strongly considering adding a fitness center to your overall worksite wellness strategy. Your talented people are what make your business thrive. Technology matters, bricks and mortar play a role (most of the time), and other physical and cultural elements contribute to your success, but at the end of the day, it’s your people who make your business what it is. And you’re counting on them to perform at the top of their game. Making it easy for your employees to exercise (through a corporate fitness center, for example) is one way to keep your smart and highly valuable employees using their talents for the benefit of your business. Compelling research has shown that adults who exercise reap more than just the physical benefits of movement. This study shows that work-related benefits following a bout of exercise can include improved quality of work and better time management. 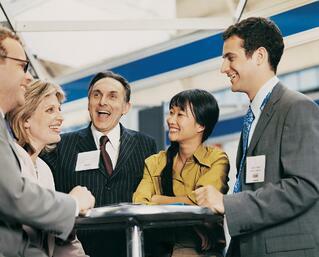 The study also showed that exercise contributed positively toward an employee’s tolerance of his/her coworkers. And who couldn’t benefit from a more tolerant atmosphere? This study shows that creativity is better following aerobic exercise and for at least a two-hour span after the exercise has been completed. The physical health benefits of regular exercise are so well documented that I won’t bore you with study after study here. 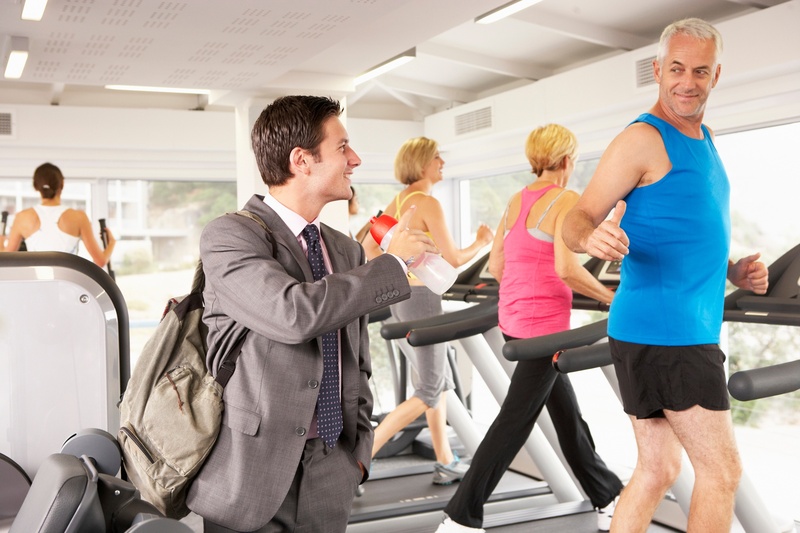 Let me instead take this opportunity to remind you of how easy it is to support your employees as they search for ways to get in the minimum recommended levels of exercise each day or 150 minutes of moderate aerobic exercise each week. What you may not realize is that the health benefits of exercise can still be achieved if the 150 minutes is broken up into very small increments throughout the day. Yes, 10 to 15 minutes of movement two to three times each day is enough. So you can start to see the math add up on allowing flexible schedules for walk breaks, or short group exercise class opportunities, as viable ways to help your crew move more. A corporate fitness center falls squarely under the “Employee Benefits” category, and the link between benefits and turnover has been well studied. Turnover, although regarded by some as a positive for business (fresh ideas, new energy, "lose the dead weight", etc. ), is still expensive. This Gallup report outlines how to predict employee turnover, and points to pay and benefits as one of the top five predictors for employee turnover. This Forbes article puts the spotlight on how treating employees well by providing them with access to “resources that support well-being and performance” has a positive but difficult-to-quantify impact on employees. The article spotlights the Virgin Pulse Workforce survey, which showed that 87 percent of polled employees give consideration to employer-sponsored health and well-being offerings before they choose to commit to an offer. If you’ve had enough of the statistics, reports, and research, perhaps you’re ready to dig in on the options for creating a corporate fitness center. Click below to access our Guide for Successful Fitness Centers for a better understanding about the fitness center footprint, staffing and programs you can expect for your employees. Twenty years ago, would you have ever thought you would be checking out the break-room bulletin board and coming across a yoga class being offered in the office or onsite gym? Chances are it would have been highly unlikely, not to mention overlooked because it did not have the buzz or trendy reputation it does now. Hopefully, most of us now know that the benefits of yoga practice in a chair, studio, or corporate fitness center go beyond meditation, headstands, flameless candles, thin sticky mats, and soothing music. I have seen yoga become an increasingly positive influence in workplaces all over the country with a melting pot of populations. You might even see children and pets taking advantage of the yoga inspiration. The interest in increasing productivity and improving employee health has weighed heavily on corporate America. Long hours at a desk, aching back, neck pain, burnout, and emotional discontent are all repetitive stressors corporate employees face each day. Did you know that this, in turn, amounts to less productivity? What is your company doing about it? Think about this, as an employee: What would you do with an extra 15-minute mandatory stress break built into your day? 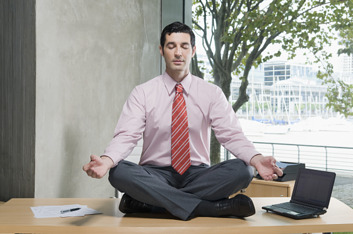 Offering free stress-relief options such as yoga is a simple and convenient way to help employees find stress relief in the office. True, it’s up to each individual to start their practice, but I promise once you start you won’t stop. The great thing about yoga at work is that it’s a time to take a break from your desk and relieve stress. It’s convenient, and it feels good! Chair yoga is becoming popular among executives as a boardroom break; this is a great alternative to unit meetings or exercising at your own desk. That’s the greatest benefit of yoga: it can be done anywhere and it doesn’t have to take a lot of time! Yoga won’t cure all, nor will it be chosen by all. But it sure has shown to be a great addition to corporate wellness offerings. Many of the yogis tell me they love doing yoga at work because they can practice in a noncompetitive and nonjudgmental atmosphere and experience it with coworkers. Many of the participants enjoy the multiple benefits. After final relaxation, it helps guide them to a calmer state of being as they return to work. It also helps improve core stability and balance, and helps increase total body strength. We try to make sure all energy is left at the door. Each person is focused on their own practice of the day. NIFS Nutrition News: Eat Better…Work Better? This blog was written by Angie Scheetz. We have all heard the phrase that an apple a day keeps the doctor away, but who knew that eating a balanced diet would also make you more productive at work? That is what a recent study found. The study was conducted by Brigham Young University on 19,000 employees from three large companies and was published in the Population Health Management Journal. It was discovered that employees with unhealthy diets were 66 percent less productive than those who ate whole grains, fruits, and vegetables. So, how can you be a more productive employee? Try these three simple ways to eat a more balanced diet and then get ready to impress your boss! Whole-grain goodness: Swap out your old rice, pasta, bread, and cereal for grains that are higher in fiber and are less processed. Brown and wild rice are excellent alternatives to white rice. Whole-wheat pasta, couscous, quinoa, millet, and oats are more whole-grain options to incorporate into your diet. When it comes to breads and cereal, check the label. Choose options that have at least three grams of fiber per serving. Check out the Whole Grains Council for more information. Fabulous fruits: Most people need three pieces of fruit per day to meet their individual requirements. You can do this easily by incorporating a fruit into your morning cereal or oatmeal, grabbing a piece of fruit for a quick and portable snack, and having a bowl of sweet fruit after dinner for dessert. The vitamins, minerals, antioxidants, and fiber in fruits are all great reasons to include them in your diet. Vary your veggies: One of the most challenging food groups to get into your diet, but also one of the best ones for you, is vegetables. It can be difficult to meet the four to five recommended servings per day, so how can you get these in to help balance your diet? One thing is to make sure that you are spreading them out throughout the day by including a vegetable serving at lunch and snack time. At lunch, grab portable veggies such as baby carrots, cherry tomatoes, mini bell peppers, and sugar-snap peas to add some variety and crunch along with your typical sandwich. Or nibble on veggies with a hummus dip for an afternoon snack. Make it a goal to try one new or different vegetable each week. If you live in the Indianapolis area, consider registering for our Lite ‘N Up weight management program that helps build a healthy attitude toward food and fitness. Or contact me at ascheetz@nifs.org to answer your individual nutrition questions. While exercising the brain is of great importance in retirement wellness centers to aid in preventing or reversing memory loss and dementia, it’s never too early to start actively increasing your “brain fitness.” Occasional memory loss happens to anyone, young or old. It often occurs in moments of fatigue, nervousness, or anxiety. There are exercises you can do to increase memory and other cognitive skills. Just as you should incorporate variety and extra challenges into your physical exercise routines, you should do the same for your brain. Learn one new word per day and find ways to work it into normal conversation. Perform routine tasks in a different way. Often in retirement or corporate fitness centers, we challenge clients by asking them to close their eyes or stand on only one foot while they do basic strength exercises, thus heightening their proprioceptive awareness and teaching better balance. Similarly, the article says that when you change up simple daily tasks, such as unlocking your front door with your eyes closed, you are activating more senses and key areas of the brain, keeping your mental function at its top level. Make it your goal to add one mental exercise, such as a crossword puzzle, to your daily routine!